As a kid I liked Mary Popinks who danced and walked on the roofs with her duffel bag, long coat, hat, and open umbrella. The movie made me want to have an umbrella. However, my mother who consider raincoats to be the best rain protection, did not like umbrellas at all. My sister and I would just forget the umbrella somewhere, they are unpractical as one has to hold them, they would fold over when it is windy, and they are dangerous! Dangerous? Why? They would blog our view on the traffic. Well, our grandma Hannah loved umbrellas. She would wear them on her arm even on sunny days. Thus, she bought us umbrellas that were just clear plastic instead of fabric so they would not be “dangerous”. 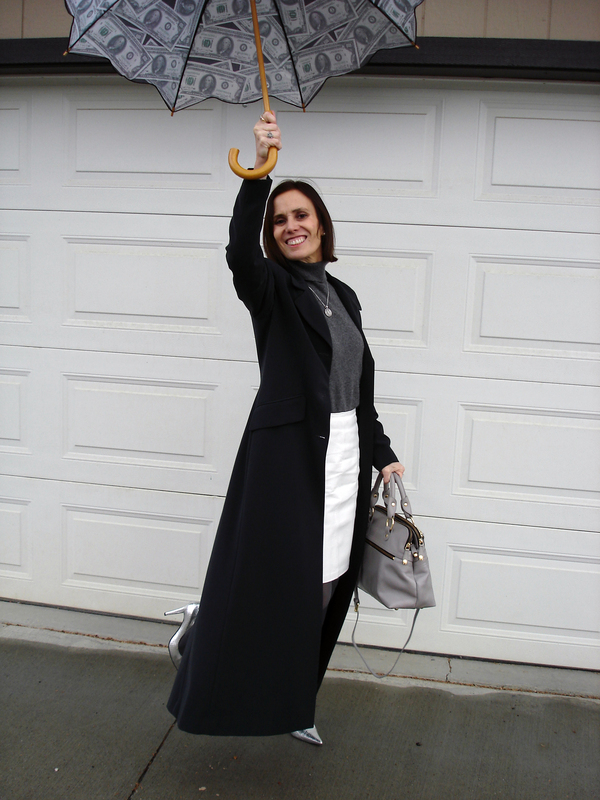 Here I winterized my white leather skirt from summer with a gray turtleneck cashmere sweater, and gray tights. I added my silver Ralph Lauren pumps to light the gray up. To stay warm on the way to work I added my long gray coat. 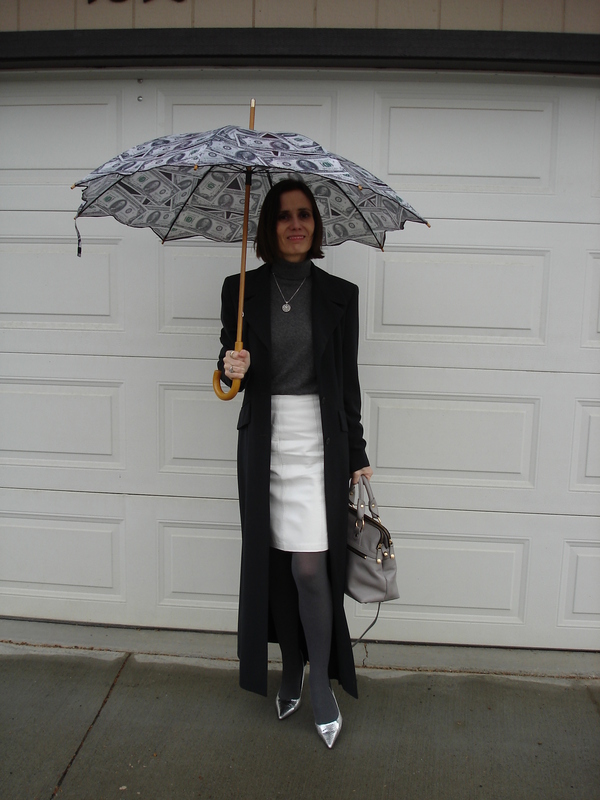 To not get wet I chose the “dollar” patterned umbrella, we bought a couple of years ago on our business trip to California. “It never rains in California” is a plain lie. I have been in California a couple of times, and it always rained ;).